The police has concluded its investigation into allegations of electoral fraud in Lambeth’s Gipsy Hill ward in May’s local elections, and says it will be taking no further action. The voters of Gipsy Hill elected three Labour councillors, including Matthew Bennett, who as well as having cabinet responsibilities at Brixton Town Hall, also holds the day-job as “Head of Office” for Croydon North’s MP, Steve Reed OBE. Before opting for Croydon’s safe Labour seat, Reed had been Leader of the Council in Lambeth. Bennett declined to comment to Inside Croydon regarding his involvement, or non-involvement, in the investigation, which will be seen as a considerable embarrassment for Reed’s former colleagues in Lambeth, where a by-election has already had to be arranged for next month in Knight’s Hill ward because one of the Labour councillors who was elected in May happened to be on the council pay-roll at the time of the elections. 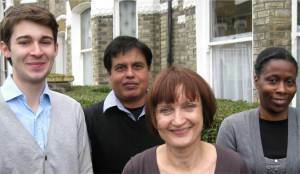 In Gipsy Hill ward, which borders Crystal Palace, Bennett was elected alongside Niranjan Francis and Jennifer Brathwaite. The police never identified which of the Gipsy Hill councillors was the subject of their investigation. According to sources, allegations were made by someone from Croydon, raising questions about one of the candidates’ eligibility to stand for election in Lambeth. The police, it appears, are satisfied that there is no case to answer. This entry was posted in Croydon North, Lambeth Council, Matthew Bennett, Steve Reed MP and tagged Croydon, Croydon North, Crystal Palace and Upper Norwood, Lambeth, Lambeth council, Lambeth South, Member of parliament, Steve Reed OBE. Bookmark the permalink. Someone with an axe to grind made a baseless complaint about the eligibility of a candidate in last May’s council election in Lambeth, in a ward where one of the councillors works for Croydon North MP, Steve Reed. Unless I’ve missed something, the Croydon connection would be tenuous even if the police concluded there was something amiss. It is certainly not worth two lengthy blog posts. You know the complaint was baseless how, David? Of course, the likes of the Sadvertiser would never dream of publishing a story in which the police announce that they have cause to investigate the election in the ward of a cabinet-level local politician, who just also happens to be the senior aide to a local MP. I assumed the complaint was baseless because the police chose to take no further action. You know well that elections are surrounded by people who don’t like the result, for one reason or another, some of whom are prepared to persue their grievance to extraordinary lengths. I am prepared to accept the police decision, unless someone knows differently; and I mean a specific allegation, not whimsical innuendo. There have been numerous cases where police have chosen to take no further action. It does not always mean that there is not a case to answer. How would you feel, David, if someone who lives in Lambeth stood for election in Croydon… ohhh. As I recall, when Steve Reed stood for election in Croydon North he was living in Lambeth. I understand he has now moved into Croydon borough, though not his own constituency. However, Mr Reed seems a distinct asset to the people of Croydon North, continuing the best traditions of his predecessor, Malcolm Wicks, and likely to earn the well-deserved reward at the General Election of an increased majority. you would no doubt call “outsiders”. We are all Londoners, let’s not become too parochial. It is not against electoral rules for a prospective candidate as MP to live outside their constituency. Look at Lord Bletchingley, after all. It is, however, against election rules for someone to seek election as a councillor when they do not live within the borough in question. How quaint! Such a rule might have been relevant in Victorian times, when the town was far more self-contained, with most of the businesses locally owned and managed and most of the residents employed locally. These days Croydon is substantially a dormitory suburb of central London and just as its local authority is too white and too middle class, so it fails to reflect the town’s current role as an integral part of Greater London. Hence the expensive and time-wasting requests from both major parties for city status. Not sure about quaint, David. This is a report about the possibility that someone standing for election as a Lambeth councillor was not living in that borough, as required by the law.